A loan of $375 helped to buy and insure a dairy cow. Kipkurgut lives in the Eldoret area of Kenya, which is home to the main campus of Moi University. He has 6 children and has been doing this work for 20 years. His primary income sources are milk, eggs and crops. He will use the loan to buy and insure a dairy cow. He stated what is most enjoyable about farming is that he loves crop farming and loves seeing his crops grow. He also loves animals! His biggest challenge is lack of enough capital for expansion. The dairy cow on the farm has been named Mukie. Kipkurgut was asked why he chose Juhudi Kilimo for this loan, to which he replied he found out from church by a friend. This client was also asked what was learned during Juhudi's required microfinance training session and he said he learnt about how to invest the loan from Juhudi. His highest monthly expense is farming costs. 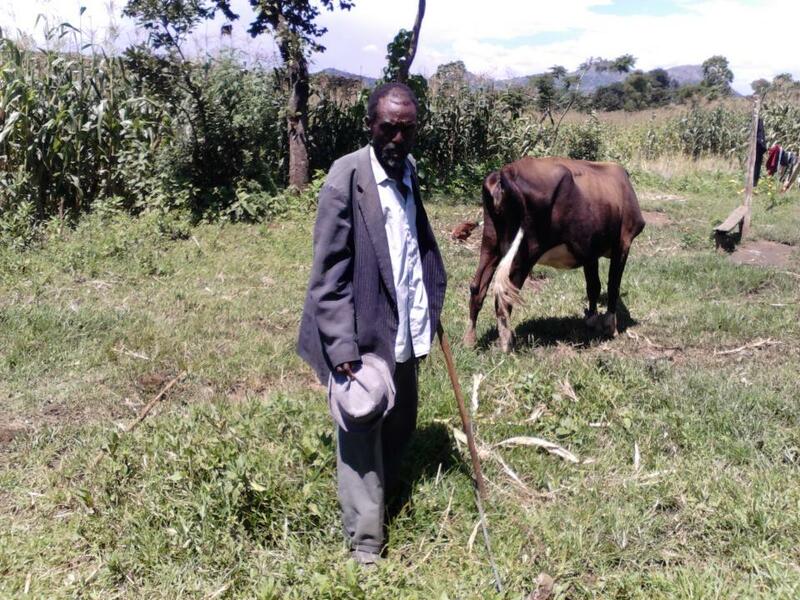 When asked how this loan would benefit his family, Kipkurgut replied he would get milk for the family and sell the surplus, thus increasing his income. As part of Juhudi's loan appraisal process, each borrower's assets are evaluated. Kipkurgut owns the following: cow and poultry, but does not own a pig, pump, bicycle, motorcycle, or automobile. Juhudi Kilimo also tries to measure any change in living standards based on this loan. This borrower has in the household a mosquito net but does not have electricity, solar power, running water, a sewing machine, TV, or DVD.